The 2019 Mercedes-Benz E-Class comes with four breathtaking trim levels designed to cater to your exact needs. Each model includes unique performance features and luxury amenities to enhance your daily drive. The product specialists at Autohaus on Edens in Northbrook, IL, have taken the opportunity to highlight the different options included with each trim level for your convenience in the following page. If you have specific questions for one of our experts, contact our Mercedes-Benz dealership by calling (847) 272-7900. 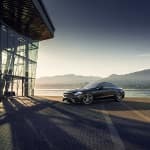 The 2019 Mercedes-Benz E-Class is available in four different body styles: sedan, coupe, cabriolet, and wagon. The table below details the body styles available with each trim level to allow you to fully customize the exterior design and interior space of your 2019 Mercedes-Benz E-Class. Providing timeless elegance and superior luxury, the 2019 Mercedes-Benz E-Class E 300 begins the lineup with style. Drivers who don’t want to settle when it comes to premium amenities will appreciate what this model has to offer. 0-60 MPH in 6.2 sec. Elevate your daily drive with the superior power and impressive interior options with the 2019 Mercedes-Benz E-Class E 450 4MATIC®. If you are looking for a complimentary blend of performance and unmatched luxury, this model is for you. 0-60 MPH in 5 sec. Experience the state-of-the-art amenities included with the 2019 Mercedes-Benz E-Class AMG® E 53. From breathtaking performance to a long list of standard features, you’ll look forward to every drive. 0-60 MPH in 4.4 sec. When you choose the 2019 Mercedes-Benz E-Class AMG® E 63 S, you won’t have to settle. Unparalleled power and supreme luxury make this model a force to be reckoned with. 0-60 MPH in 3.3 sec. Do you want to experience the luxury and design of your favorite 2019 Mercedes-Benz E-Class sedan for yourself? 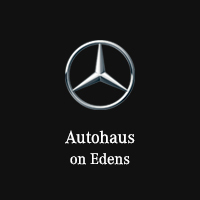 Autohaus on Edens in Northbrook, IL, features an impressive collection of 2019 Mercedes-Benz E-Class models. Browse our online showroom to find the model you’d like to schedule a viewing for, and call (847) 272-7900 to confirm your appointment.